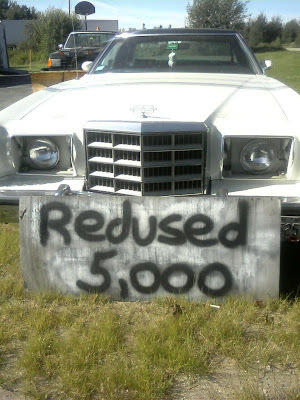 I don't know what's funnier, the spelling or the fact that someone had a price of higher than 5 grand for that car. By the way, guess which Maine town this picture was taken in? It's actually fairly obvious if you know the area.